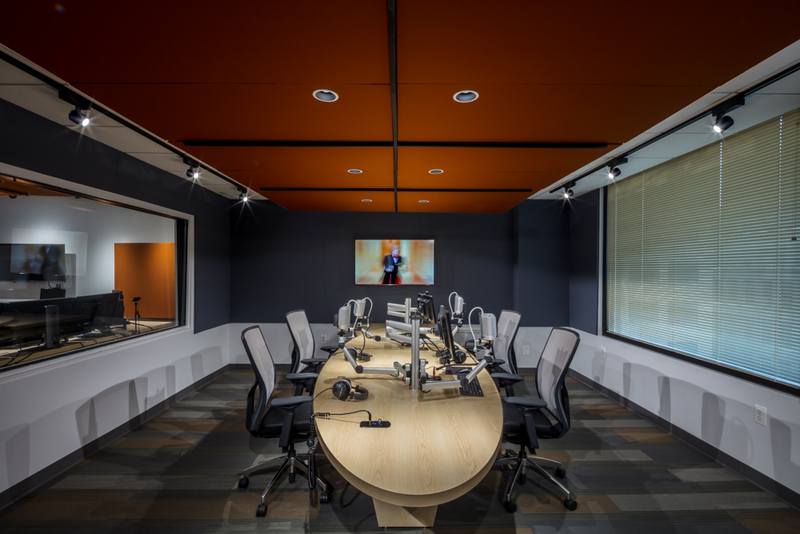 The Russian news network required a specialized acoustical design and sound insulation to ensure the highest quality radio broadcast. 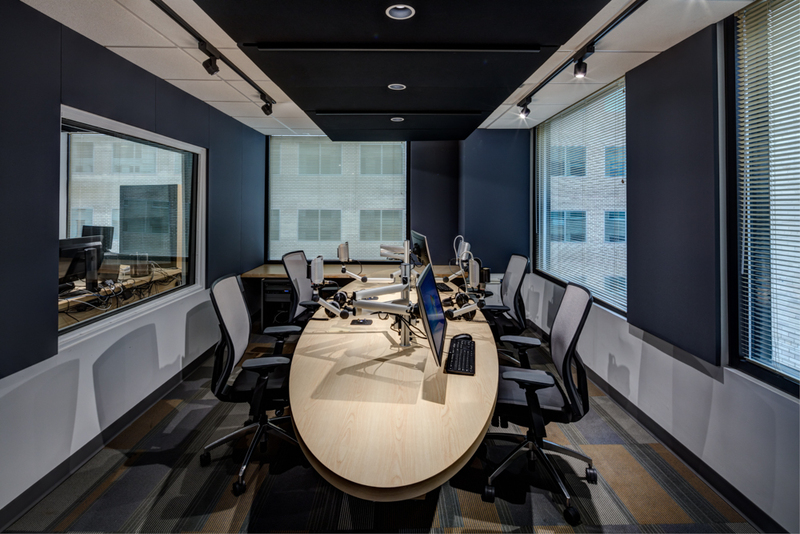 RIA Global relied on Lawson's proven expertise to design the Washington, DC bureau of their Russian international radio network. 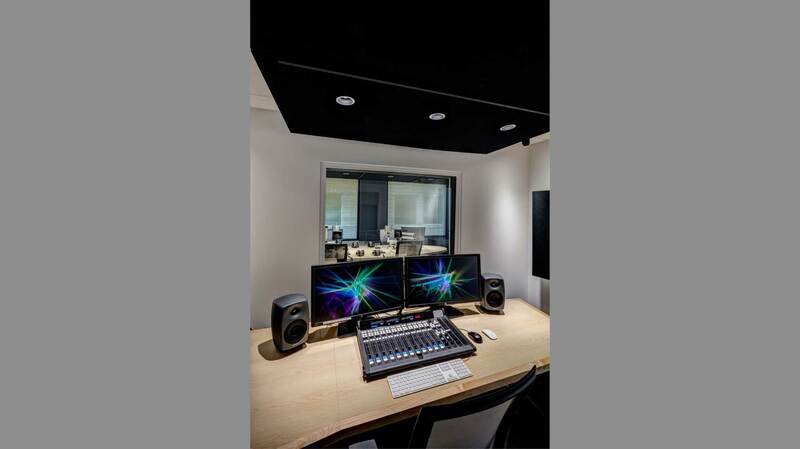 Located on an entire floor of an office building on a busy downtown street, it was critical to control the sound at both the exterior and interior walls. Making the project even more challenging was the tight timeframe and budget for the full renovation which included the custom fabrication of all studio and control room furniture. With experience in the unique requirements of building the infrastructure of a radio network, Lawson developed the design to complete this successful project. The 4,500 square foot space includes one edit room, two studios, two studio control rooms, an equipment room with UPS power conditioning, and mechanical systems designed for 24/7 use. 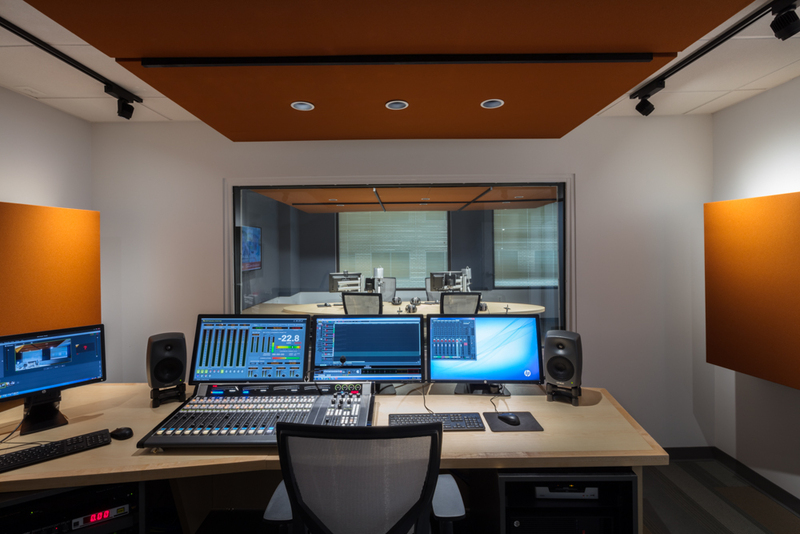 To ensure the noise control critical to radio broadcasting, layers of storm windows and sloped glass as well as high quality glazing were utilized to isolate both the street and interior noise. In addition to providing a visual connection along with sound insulation, Lawson coordinated the custom design of the furniture in the technical spaces. 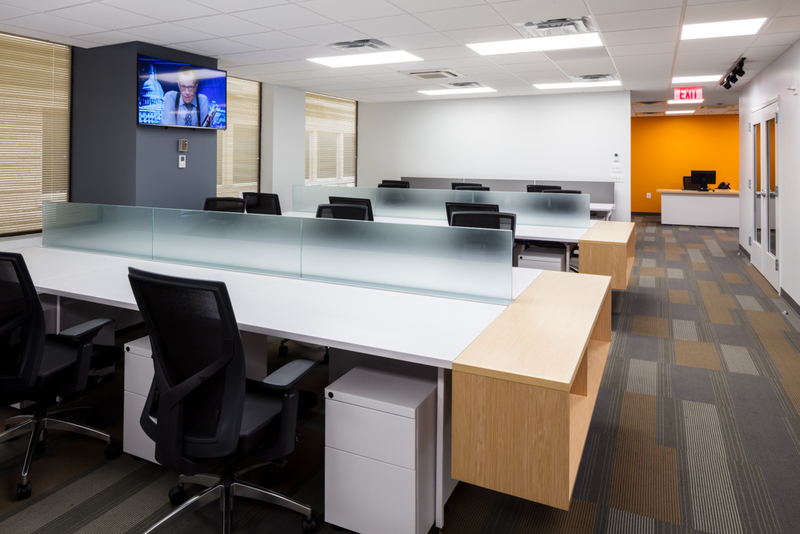 The completed project also includes 30 furniture workstations and a conference room. The furnishings throughout the radio network reflect the corporate color scheme of Sputnik, the international Russian news and multimedia brand.